The city of Ranthambore is beautiful amalgamation of lush greenery and flourishing wildlife that are dotted with important and significant historical monuments. One of the best examples of these is the Ranthambore National Park. Here you get to see the majestic tiger, along with several other exotic wildlife, on a back drop of the ruins of the historical, the Ranthambore fort. The National Park is famous world over for its healthy population of tiger and is one of the most scenic places where you can put your photographic skills to the test. With the Chambal and the Banas River meandering through the rocky landscapes of the Park, animals' roaming around in their natural habitat and the touch of mystery that is added by the ruins of the fort, Ranthambore truly is a place that will leave its imprint on every visitor. Spread across an area of 392 square kms, the Ranthambore National Park houses more than 30 mammals, 275 birds, 12 reptiles and 350 plant species. Wrapped around by the giant Aravali and the Vindhya mountain ranges, the National Park is one of the best places on earth to view the majestic and endangered tiger. The park also houses several other animals like the panthers, leopards, chitals, sambars, chinkara, sloth bear, jackal, wild boars, monitor lizards and the Indian hare. So gear up, if you love a jungle safari and if you love animals in the wild this is the place for you. The Jogi Mahal is situated close to the National Park and is visited by tourist all the year round. One of the main features of the Mahal is that it houses the second oldest banyan tree in the country. Situated close to the Jogi Mahal is the Padam Talab which is also quite famous amongst tourists. The Ranthambore fort is known for its deep ties with history. Built in early 10th century, the fort is known to have played a pivotal role in shaping the history of Rajasthan. Among other legends associated with the fort, it I believed that during the annexation of the Fort by the Muslim ruler Ala-ud-din-khilji, the royal women of the fort set themselves ablaze in an act of Jauhar. Today the fort is in ruins and stands quaintly amidst the dense vegetation of the Ranthambore National Park. The Kachida Valley is yet another wildlife marvel. The valley is one of the best places to see the agile panther prowling its prey and the sloth bear. Surrounded by rocky mountains the Kachida Valley is also a must in Ranthambore. 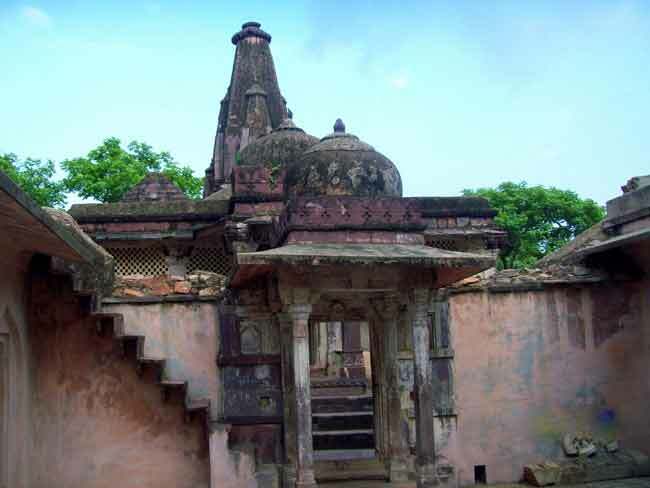 The Ganesh Temple is located in the Ranthambore National Park. This is yet another site worthy of the visit when in Ranthambore. Locals visit the temple during festivals, making this site an important pilgrimage site.